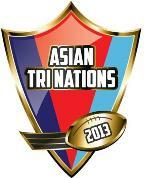 The Team to play Chinese Taipei in the Asian Tri Nations 2013 are as follow. We wish our team all the best for their game!! !